The second event of the Melges 24 European Sailing Series goes off with a strong Ora wind around of 18 knots that leads Gian Luca Perego’s Maidollis ITA854 (1-5-DNS today) on top of the podium of the event valid also as Melges 24 Italian Open Nationals hosted by Fraglia della Vela Riva in co-operation with the Italian Melges 24 Class Association and International Melges 24 Class Association. 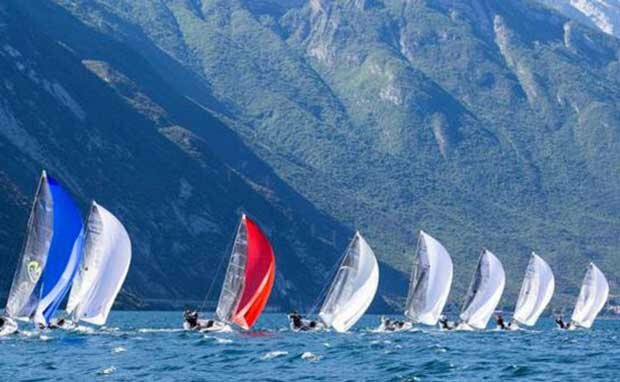 Three races were sailed in the last day; two in the morning, under a steady Peler that progressively went decreasing, and one in the afternoon when the Ora allowed sailing the most exciting race of the regatta. 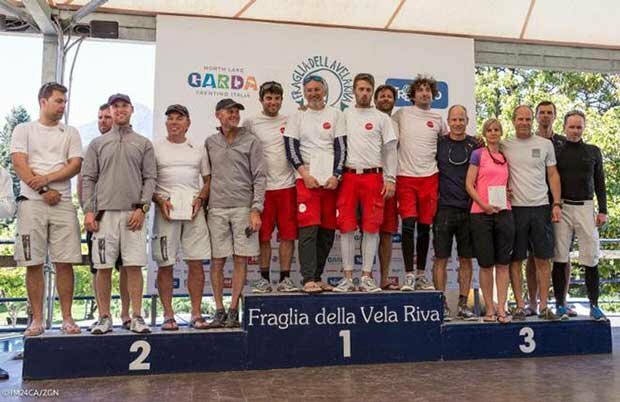 Maidollis won the regatta with a race to spare and in Luca Perego’s team there was Carlo Fracassoli in helm, Enrico Fonda calling the tactics, trimmer Giovanni Ferrari and pitman Stefano Lagi in the crew. Many changes in the final ranking happened thanks to the last race, which eventually took on the second position on the podium the American crew of Monsoon USA851 (three – ten – one) by Bruce Ayres with Mike Buckley calling tactics, and the young guys of FGF Sailing Team HUN728 (four – twenty-seven – three) with Robert Bakoczy in helm. Andrea Racchelli, at the helm of Claudio Ceradini’s Altea ITA722 (five – eight – ten), after having won the first event of the 2017 Melges 24 European Sailing Series in Portoroz and having concluded three brilliant races in the second day in Riva del Garda, slips down in to the fourth position. Fifth position goes to the 2016 Corinthian World Champions of Taki 4 ITA778 (seven – two – nine / two – one – two) that, never scoring anything worse than a ninth place in the overall ranking and a second in the Corinthian one, are the most consistent crew of the Corinthian fleet and gain the first placement in the division. In Marco Zammarchi’s team the helmsman is Niccolò Bertola, Giacomo Fossatti is calling the tactics, Matteo de Chiara and Givoanni Bannetta are in the crew and Niccolò Bianchi is coaching. 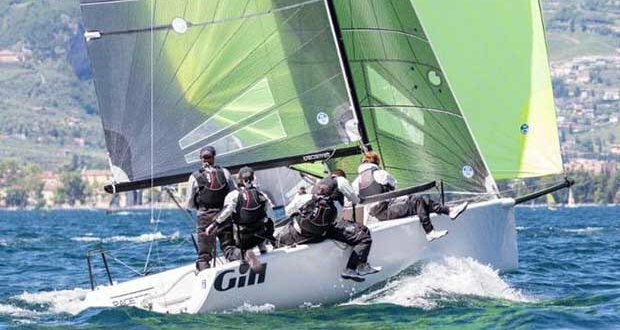 The Italians aboard Taki 4 are followed at a short distance, with just one point of margin in the Corinthian ranking, by 2016 European Coirinthian Champion, Miles Quinton’s Gill Race Team GBR694 (six – six – eight / one – three – one) with Geoff Carveth helming. Third place goes to the Estonian Tõniste twins aboard Lenny EST790 (twelve – fifteen – twelve / four – seven – four), boat that led their crew to win also the Melges 24 World Championship in Corinthian Division in 2006 and 2015, further than three European Championships. After races, the crews attended the prize giving hosted in Fraglia della Vela Riva’s terrace, celebrating the winners with some good Italian spumante. Next appointment with the Melges 24 European Sailing Series is scheduled for June 16th-18th in Marstrand, Sweden – the last event before the most expected regatta of the season, the Melges 24 World Championship that will be held in the Nordic waters of Helsinki from July 31st to August 4th.